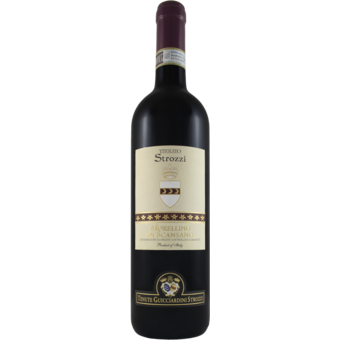 "Hints of leather, dry soil, ruby stone and pencil harmonized with fresh red fruits. Rounded with wild strawberry, hints of pistachio and layers of gentle tannins. Drink now." 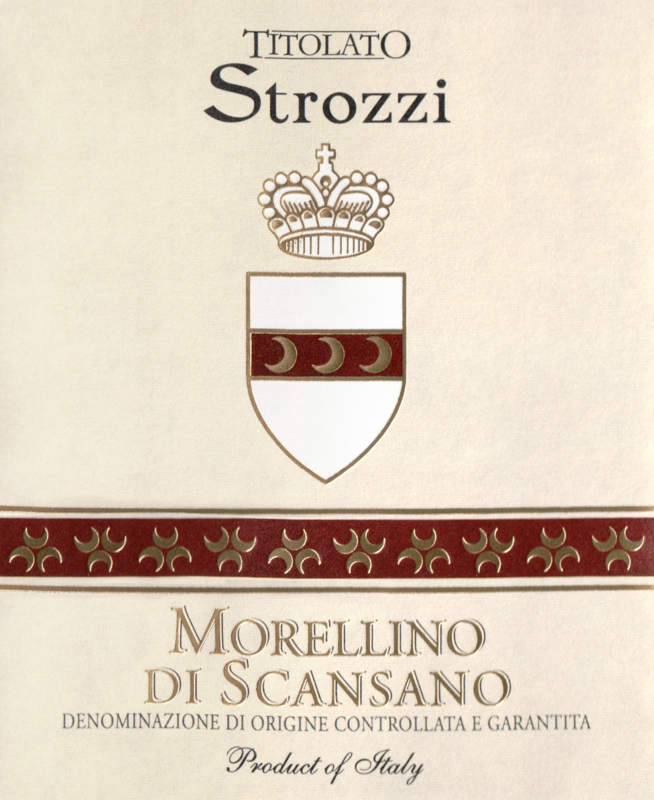 "The Morellino ‘Titolato Strozzi’ is made with estate-owned sangiovese grapes and 10% of the local variety ciliegiolo which enhances the wine with freshness and fruity notes. Bright ruby red in color, it offers an intense bouquet of red fruit and berries. Good structure with elegant tannins and a long, persistent finish. It is the perfect partner for a variety of risottos, roasted pork or steak Florentine.